The Rob Kardashian legacy may very well live on. 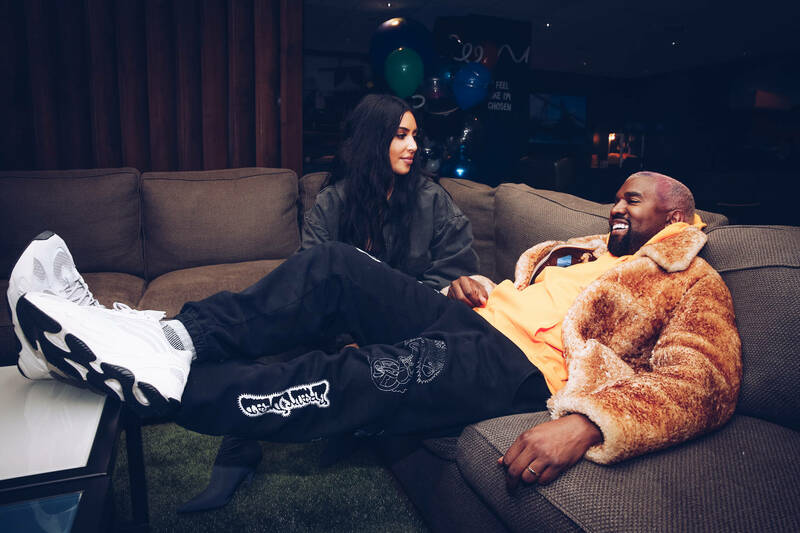 Another season of Keeping Up With The Kardashians has kicked off, and with it, a new batch of Kanye West antics, memes, and surreal insights; for example, the man compared his family to the Incredibles, citing matriarch Elastigirl's thick physique. In any case, Kim Kardashian has kicked off a press run for the series, which recently found the reality star sitting down with Jimmy Kimmel, alongside sisters Khloé and Kourtney. Kimmel eventually asks about the child naming process, inquiring about whether Kim gives Kanye West free rein to pick and choose whatever he pleases. "No, we all weigh in," she explains. I definitely take a family survey but it's usually after the baby is born. We're trying to figure out what the baby looks like," she explained. "I usually go about three or four days nameless until I feel like it really connects with the baby." Now, with a new son on the way, Kim admits she's been toying with a few ideas. "I was Googling Armenian boys names last night, but I couldn't really find anything," says Kim. Though Jimmy offers the suggestion of "Jerry," Kim politely sidesteps the comment altogether. "I was truthfully thinking about naming him Rob, after my brother, Rob," she admits. "But then it's like North, Saint, Chicago, Rob. It doesn't really go, but that's the one name I was really feeling and my brother approved it." So there you have it. The Rob Kardashian legacy may very well live on.